The national medical marijuana spotlight has focused squarely on Massachusetts ever since the state legalized MMJ in November, with consultants, law firms and other ancillary cannabis companies scrambling to get in on the ground floor of a hot new market. The launch of the first dispensaries in Arizona has also garnered a fair share of attention, as the state will be home to one of the larger medical cannabis industries in the US. But the biggest near-term business opportunities may very well be in one of the nation’s oldest medical marijuana markets: San Diego. A proposed ordinance up for debate in the San Diego City Council could pave the way for dozens of medical cannabis dispensaries – possibly as many as 100 – to open in the near future. If it passes, the measure would lead to a revival of the city’s medical marijuana industry, which is barely clinging to life after local enforcement forced hundreds of dispensaries to shut down over the past two years. The council will take public comments and ultimately vote on the ordinance during its March 25 meeting. Details of the ordinance have not been released publicly. But, in general, it would allow dispensaries to exist but set up certain regulations on these operations, including restrictions on where they can set up shop. That will create a new playing field for both previous dispensary owners who had to shut down as well as entrepreneurs who want to get involved for the first time. In fact, medical cannabis companies from other regions are already moving into the market in anticipation that the ordinance – proposed by the city’s new MMJ-friendly mayor – will pass. 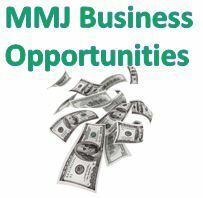 The publicly traded firm MedBox Inc. – which provides consulting services and automated cannabis dispensing systems to the industry (OTC: MDBX) – issued a release this week saying it has “boots on the ground” in San Diego to prepare for the opportunities. The Hollywood-based company said its goal is to help clients and entrepreneurs open up to 30 Medbox-branded dispensaries – at a startup cost of $150,000 each – in the city. It claims to have already received deposits on a dozen locations in San Diego that will comply with the new ordinance. The startup fee includes assistance obtaining zoning permits, construction and build-out, and MedBox’s dispensing systems. At the same time, former dispensary owners are gearing up to re-enter the market quickly. They could have a leg-up on outside competitors and newbies, as they’re already familiar with the market.